Silver is one of the precious metals readily accepted by jewelers and collectors everywhere. Silver can be found in many sources. If you have pure silver, you can easily check for prices online before selling. Sites like kitco.com have daily updated spot prices for silver and other precious metals. These are coins from the government mint. American Silver Eagles are a good example. These coins are of high percentage silver, usually .999 fine silver. These coins go for premium, often $2-3 above the spot prices. Silver rare coins are very valuable depending on the rarity, age and strike of the coin. It is a good idea having rare silver coins assesses by 3 or more experts before selling. You can also submit them to the Professional Coin Grading Service (PCGS) which grades coins in the US. Rare coins will go for a premium price if your negotiation skills are good. 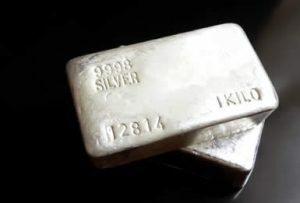 Silver bars are .999 fine silver. They are sold at spot price or melt value. Melt value means that you get paid for the exact weight according to the spot price, for example 10 ounces will be paid at 10 ounces of the day’s spot price. This is silver in US coins issued before 1965. These included dimes, quarters, dollars and half-dollars. They are 90% silver. They will sell at melt value or below. This is alloyed silver usually in jewelry, dishware and cutlery. It can be identified by a .925 mark. This silver sells at melt value. However, if the item is an antique or vintage you can expect higher prices. Silver mining can be a profitable hobby. If you have the time, you can go hunting for the precious metal in old mines. You can also assess geological maps if you have the knowledge on how to decode them. You can sell your silver at pawnshops, coin dealers, on EBay, online dealers, jewelers, and smelters. Selling face to face is probably the best idea as you can negotiate better. You will also get your cash quicker and there are lower risks of having issues. If you have a large quantity to sell, going to a smelter would be the better option as they are able to take on big consignments at once. Rare silver coins and antique silver sterling dishware or jewelry are best sold at the locally.